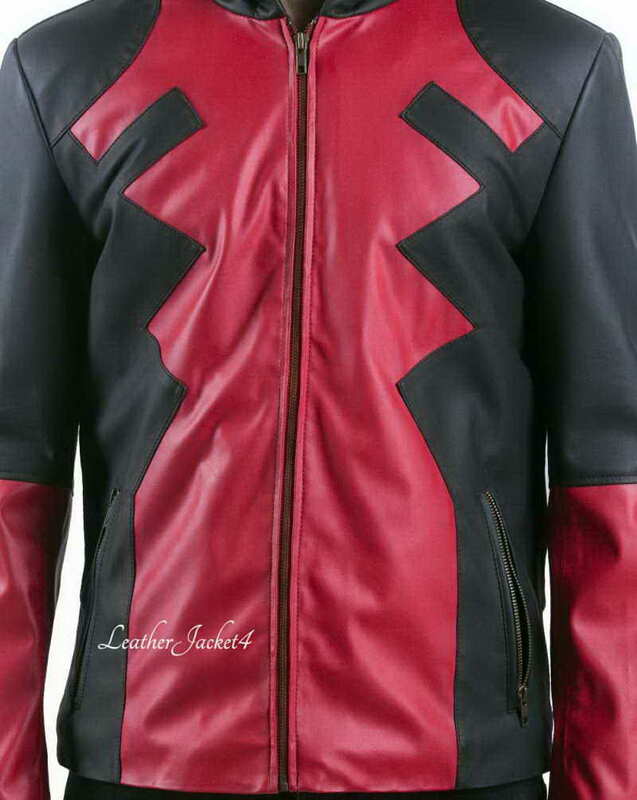 Based on the X-men comic character Wade Wilson, we have given a riveting combination of red and black color in the most popular Deadpool jacket just like it appeared on in the movie. The charismatic personality of Ryan Reynolds along with the fighting dexterity is the true inspiration behind its making. 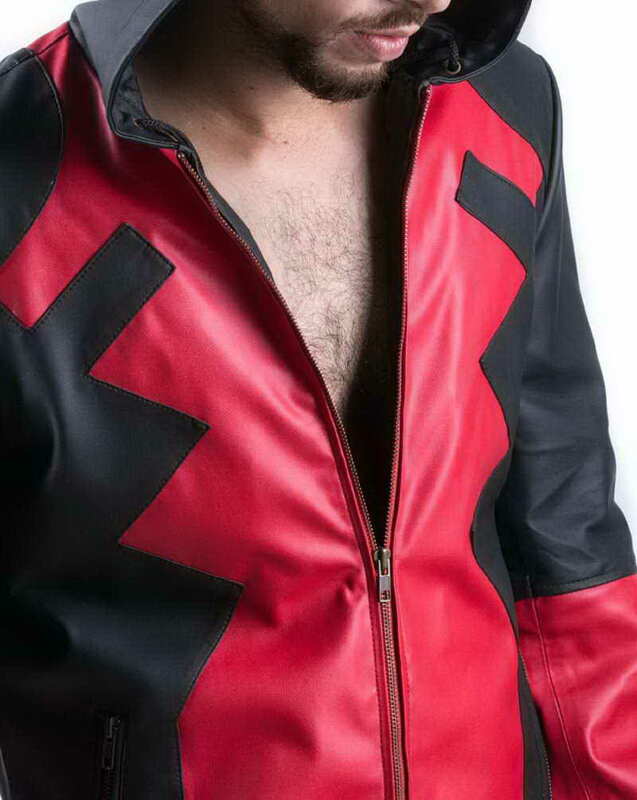 He encrusted himself under the identity of “Merc with a Mouth” wearing a unique second layer of leather costume which added an extra spur for fans who wishes to be real life player while donning it on weekend parties. 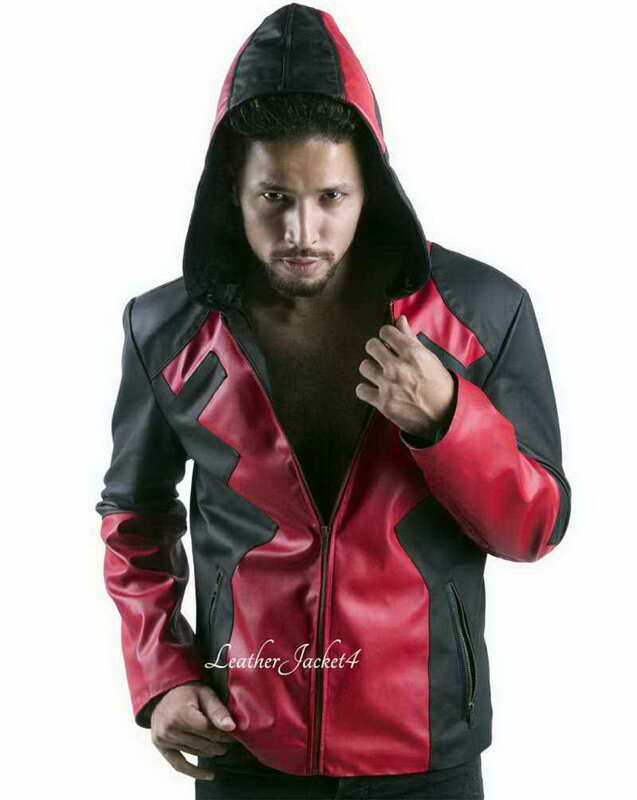 We have recreated the first copy of Deadpool hoodie jacket using 100% real lamb leather. 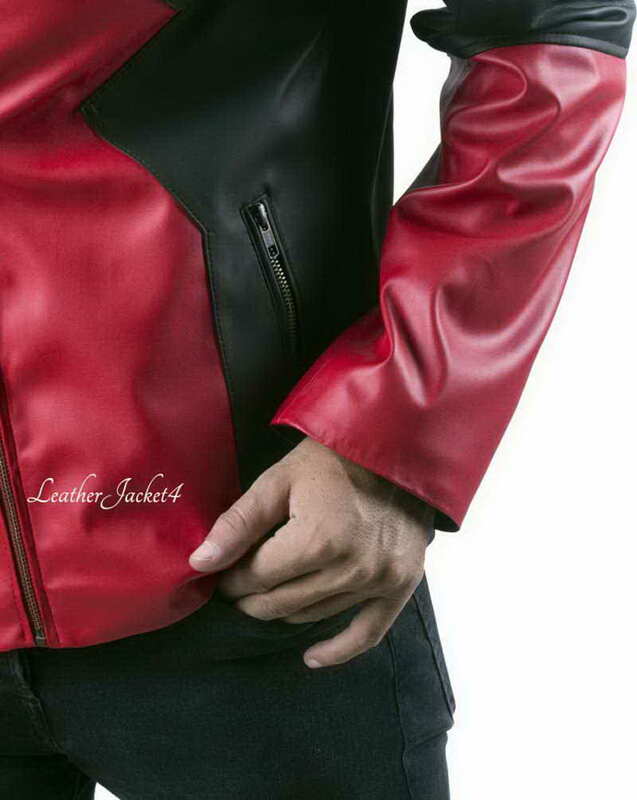 LeatherJacket4’s expert tailors have given it a detail attention to make such a seamless daring cosplay jacket. 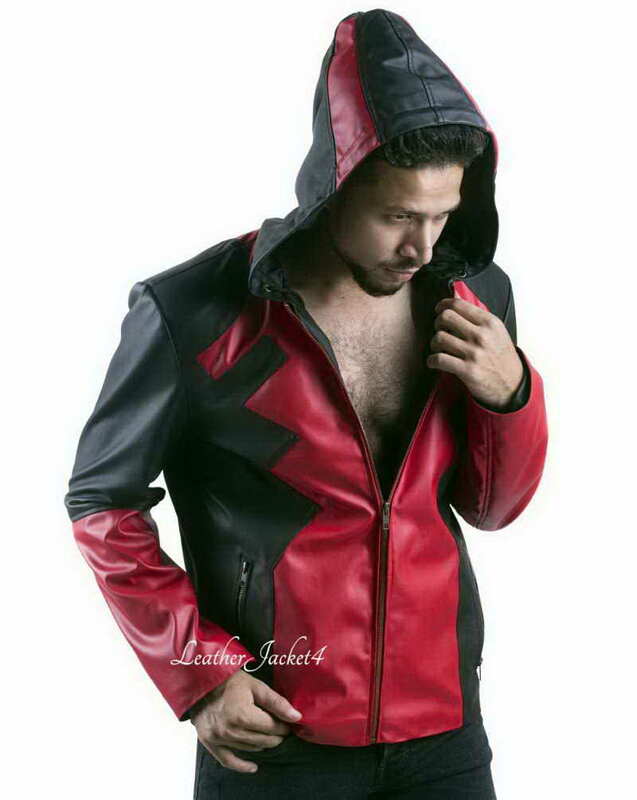 The expressive Deadpool hoodie gives you a chance to bring forward your audacious style with full of comfort as inner is stitched with non-sticky viscose lining. 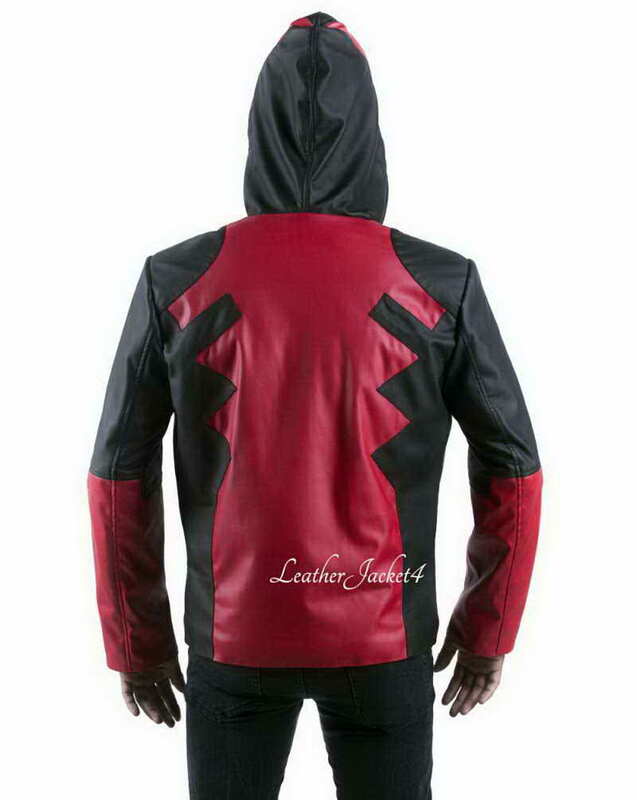 It has a zipper shutting and front is feature two waist pocket and hanging drawstrings from hoodie give it a sporty look. 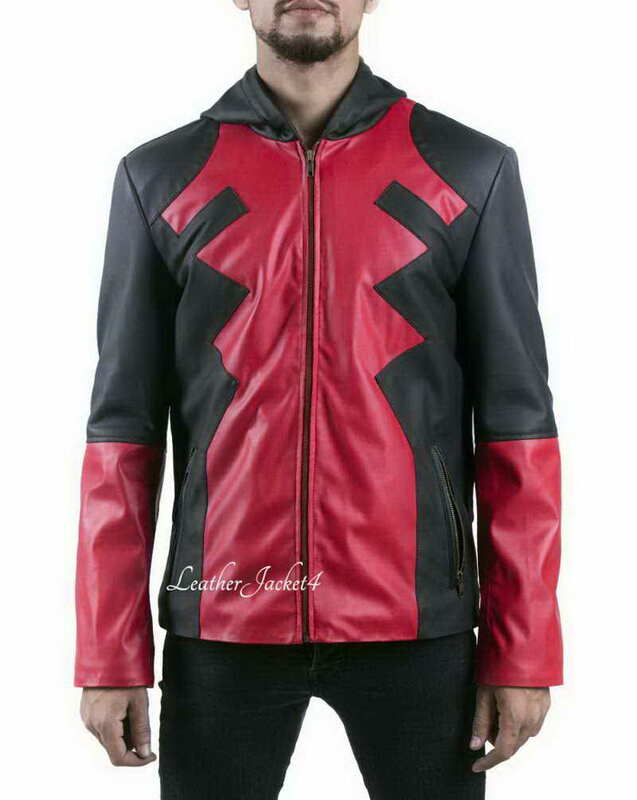 So, if you like to wear costumes of your favorite superhero character then this is a jacket for you.